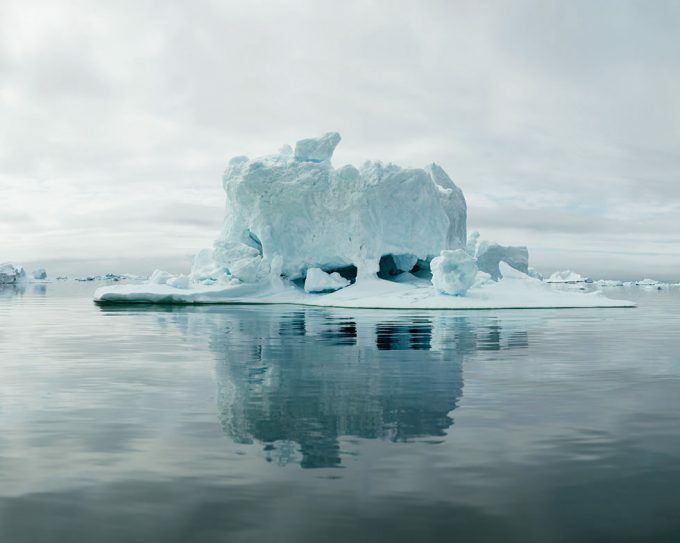 ClampArt is pleased to announce “Olaf Otto Becker: Ilulissat”—the artist’s first solo show with the gallery. 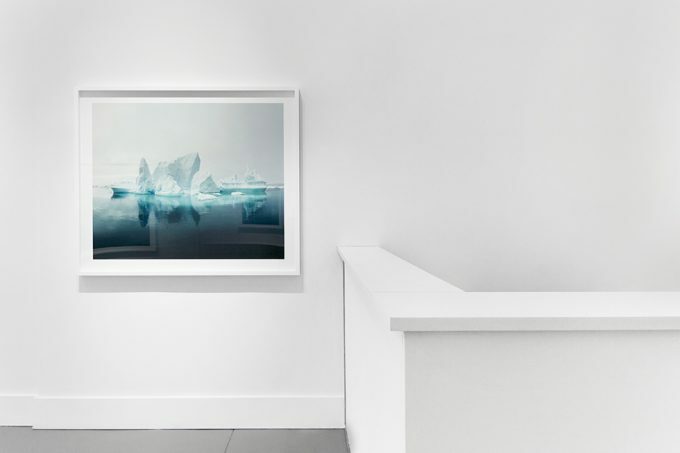 The exhibition coincides with the artist’s new monograph Ilulissat: Sculptures of Change—Greenland, 2003-2017 (Hatje Cantz, Hardcover, 9.8 x 11.2 x 0.5 inches, $55). 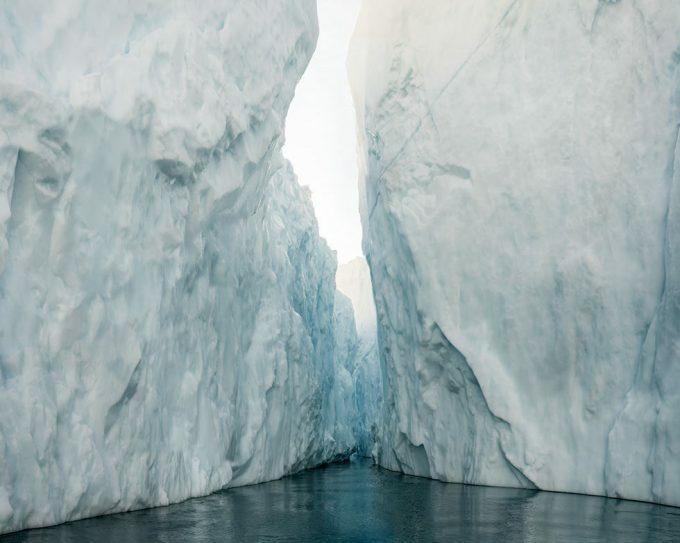 For fourteen summers, German photographer Olaf Otto Becker has been traveling to Ilulissat, a coastal town in western Greenland known for the Ilulissat Icefjord and the massive icebergs in Disko Bay. 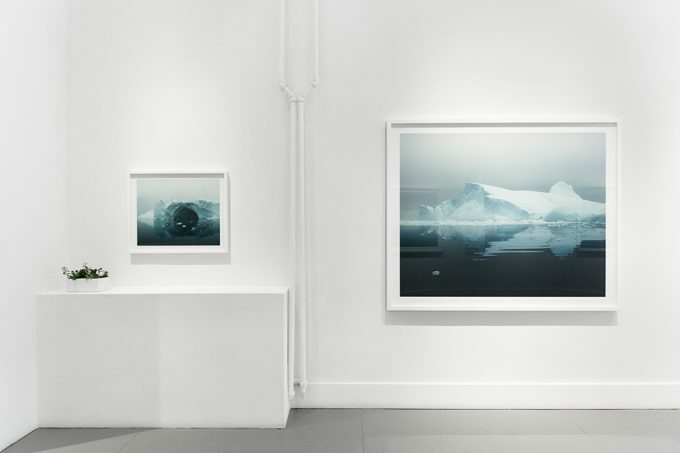 Becker has built a formidable name for himself in the art world documenting majestic icebergs floating in arctic waters along with sublime landscapes now crossed by stunning rivers of melting polar ice. 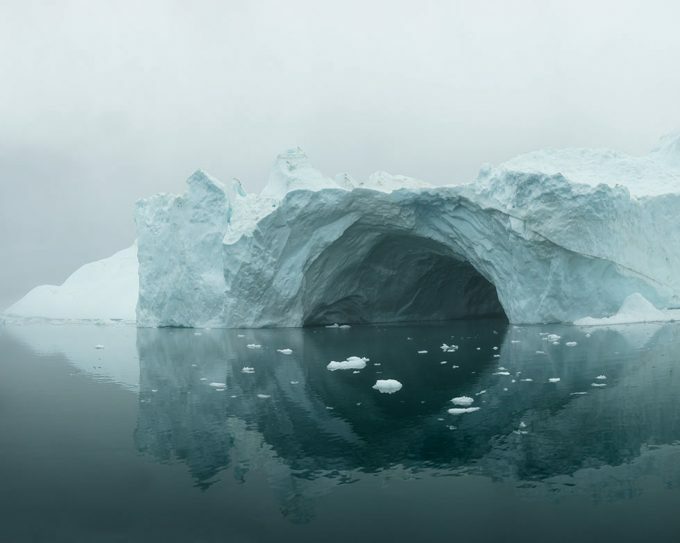 Traveling alone on a small, open boat, the artist glides through glacial depths photographing enormous icebergs which he compares to “sculptures of change” as they drift and slowly melt in the still waters. 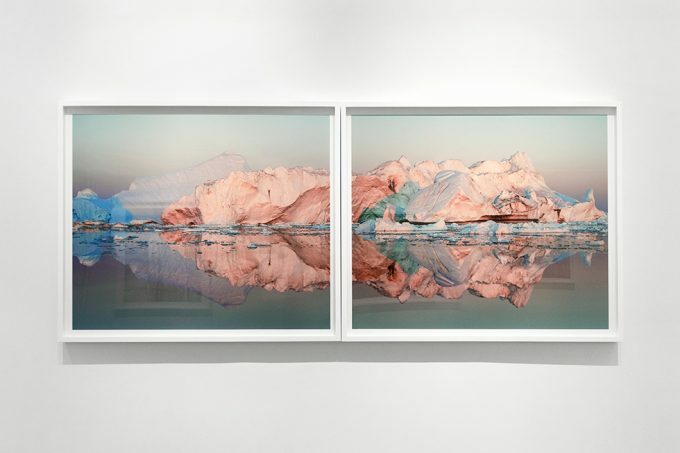 Of course, over the relatively short period of time the artist has been spending his Julys in the far north, he has been witness to undeniable signs of climate change. 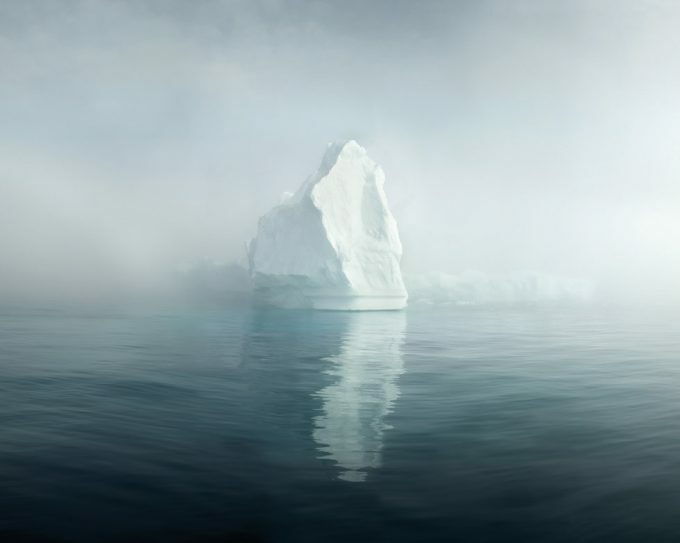 During the winters, the ocean often no longer freezes over, and in the summers the temperature can now routinely surpass 70 degrees Fahrenheit. 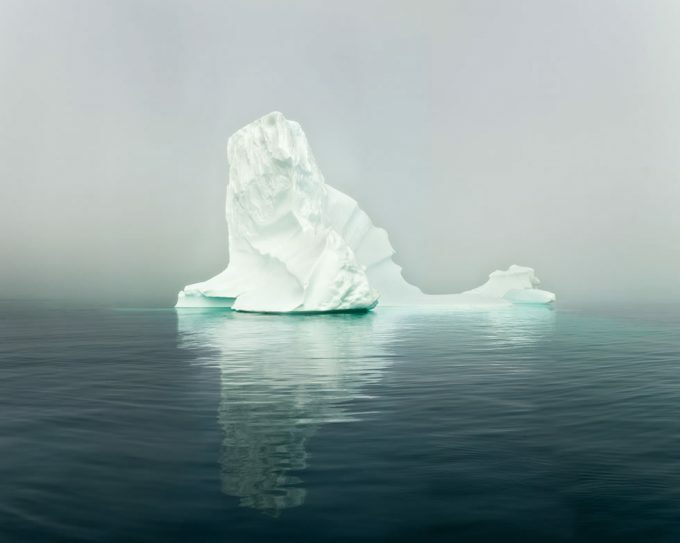 Exhibited as exquisitely printed, large-scale photographs, Becker’s depictions of icebergs quietly reflect these imposing forms as they rest suspended in mysterious, foggy waters. 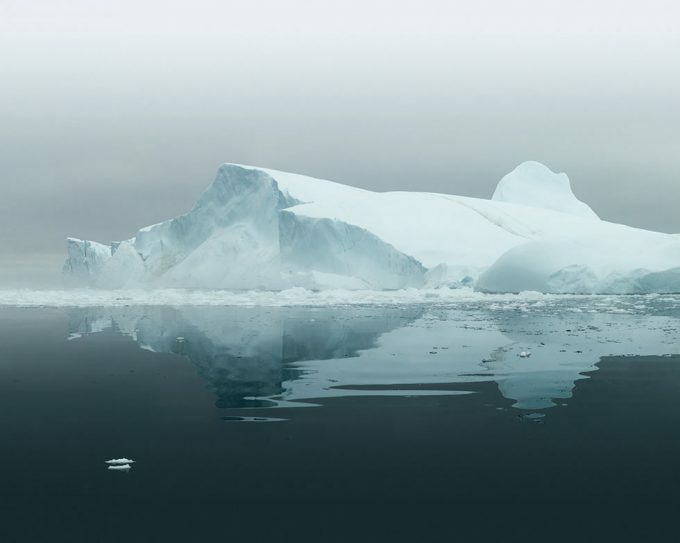 Once so dense with ice the artist’s boat would have to wait long periods of time to traverse the surface of the bay, now the ocean is nearly free of any obstruction. 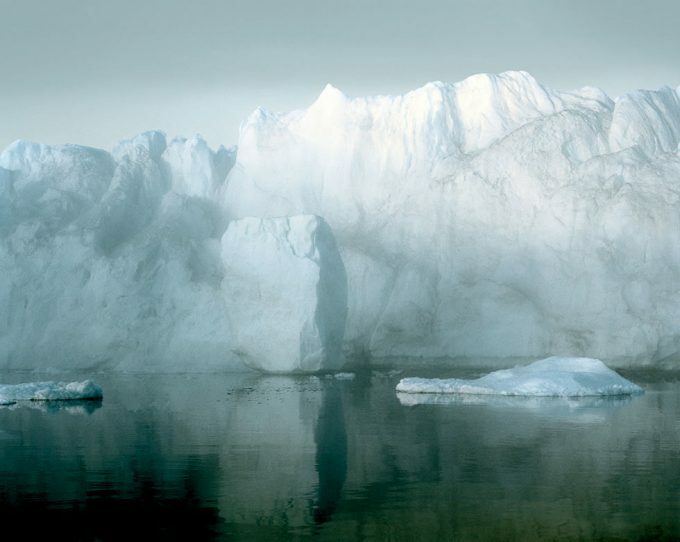 Olaf Otto Becker was born in Lübeck-Travemünde, Germany, in 1959. 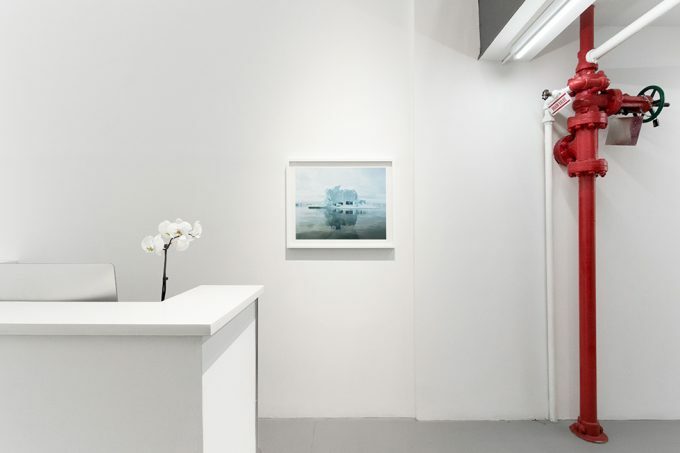 After studying communication design with an emphasis on photography in Augsburg, he attended the Ludwig- Maximilians-Universität in Münich focusing on philosophy. 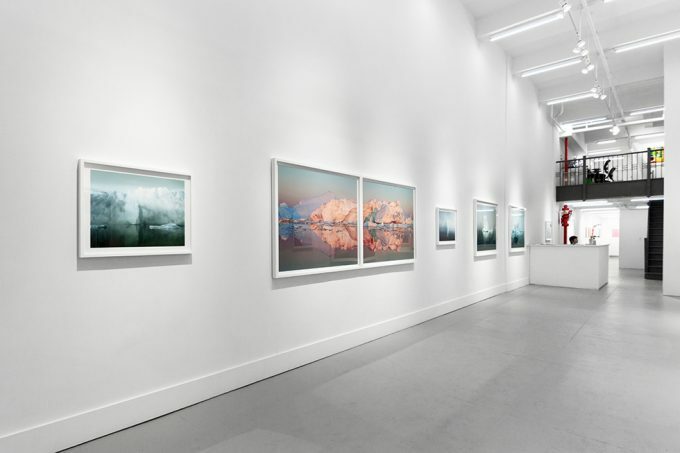 His first publication, Under the Nordic Light (Schaden, 2005) was nominated for the renowned Recontres D’Arles Book award. 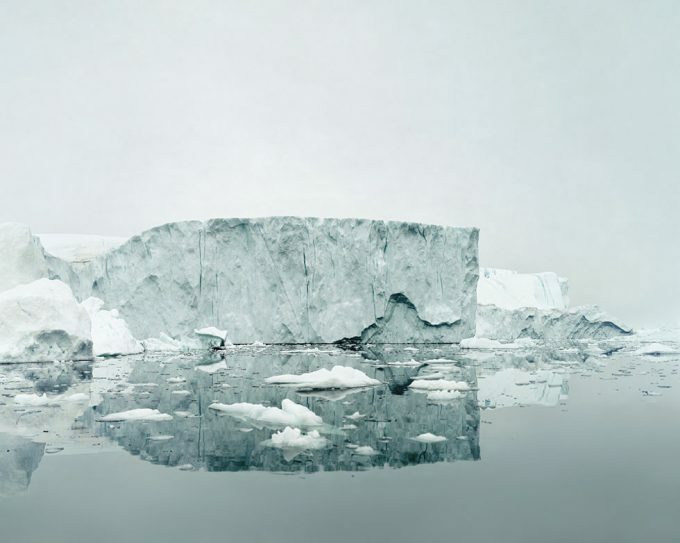 Broken Line (Hatje Cantz, 2007) was awarded 2008 German Photo Book Prize. 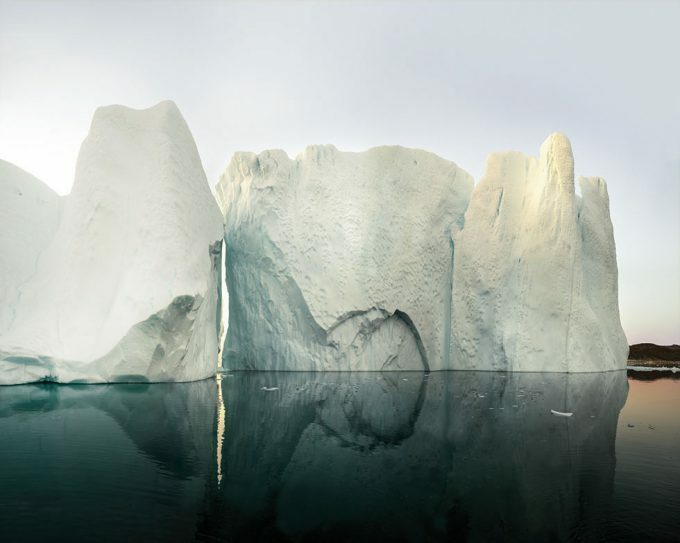 The same year he was nominated for the Prix Pictet “Water”—the global award in photography and sustainability—and again in 2012 for Prix Pictet “Power.” His work has been exhibited in Austria, Germany, the Netherlands, and the United States. 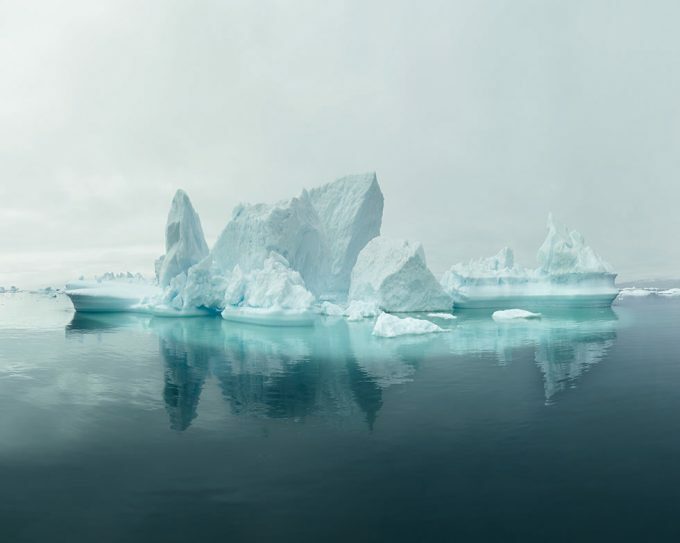 Ilulissat: Sculptures of Change—Greenland, 2003-2017 (Hatje Cantz, 2018) is the artist’s fifth book.